All Green Toys products are 100% made in the US. To be more specific, they are produced in California, a state known for strict toy safety and environmental laws. It's cool to buy US, but also think about this: transportation is one of the biggest contributors to greenhouse gasses. We all know driving less is good for mother nature, but did you ever think about how many miles a toy logs before it ends up in your local store? Their toys are truly local creations. Every step in the process, from milk container recycling to toy production to final assembly, occurs in California. 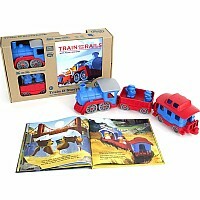 Their raw materials and toys aren't shipped from overseas, which saves a lot of energy and reduces greenhouse gasses. 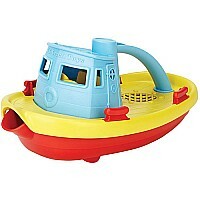 It also guarantees your toys won't get seasick before they get to your home! 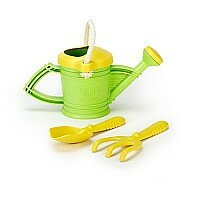 Green Toys products are tested by nationally recognized, independent, third-party labs (located, yes, in the US.) 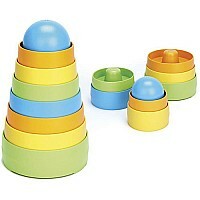 They contain no traceable amounts of Phthalates or BPA. They are also designed without any external coatings, eliminating the fear of lead paint. 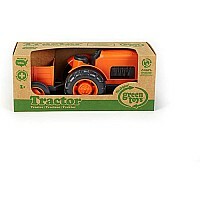 They use recycled milk containers as the main ingredient in creating our toys. Yes, the exact plastic milk jugs that you and your family drink from every day. When you finish your milk and toss the container in the recycling bin, these milk containers are collected at your curb by a local recycling company, who then sorts them from all the other types of plastic. Next, the milk containers are reprocessed into super clean fresh plastic. For you plastic geeks, the plastic material they use is called high-density polyethylene (or HDPE). This material is considered one of the safest, cleanest plastics around. 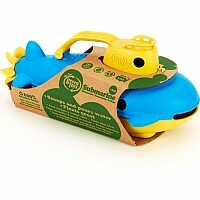 Green Toys environmental mission even extends to their packaging. They strive to minimize packaging, and all of their boxes use as little material as possible. All Green Toys products are packaged in recycled corrugated boxes with no plastics, cellophane or twist-ties, and are 100% recyclable. 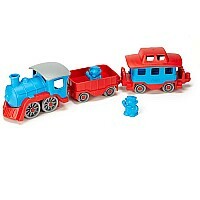 So, not only are they earth-friendly and ready for your recycling bin, they are really easy to open for those little fingers just itching to get at the toys! !